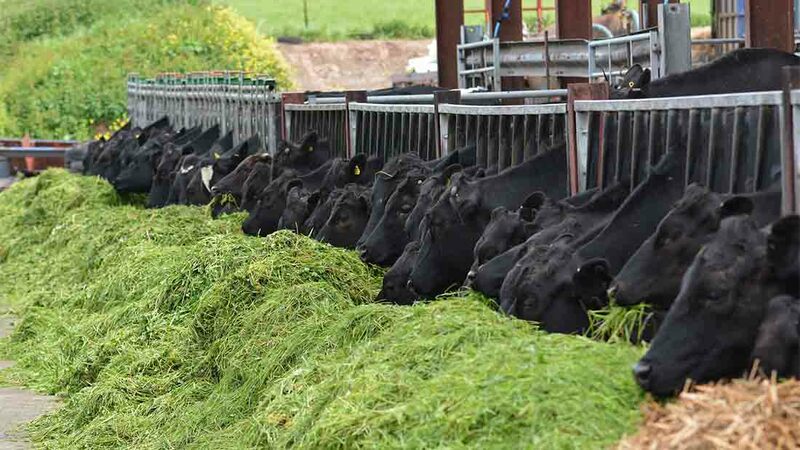 In our series looking at progressive farmers, Julie Scanlon talks to Oliver Surman about capitalising upon the convenience market. 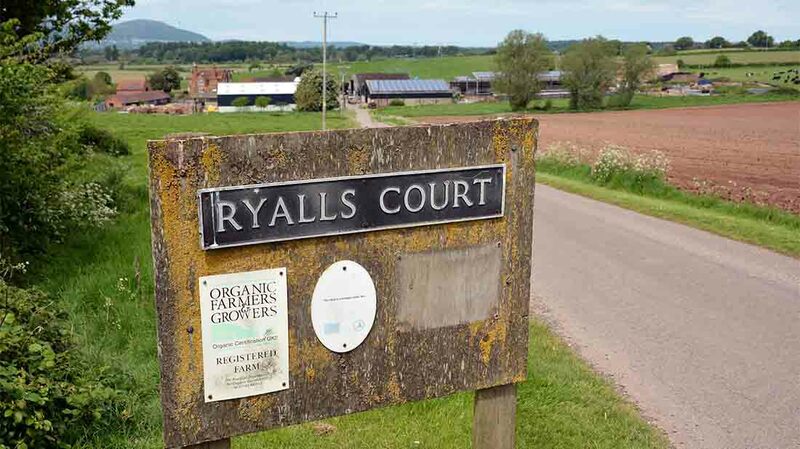 In 2003, Ryalls Court Farm, Worcestershire, was a traditional organic dairy and beef farm, but with a new generation joining the management team and a huge amount of determination and ambition, the farm has transformed into a successful food manufacturing business. Heading up its direction is Oliver Surman and his parents Peter and Annie. 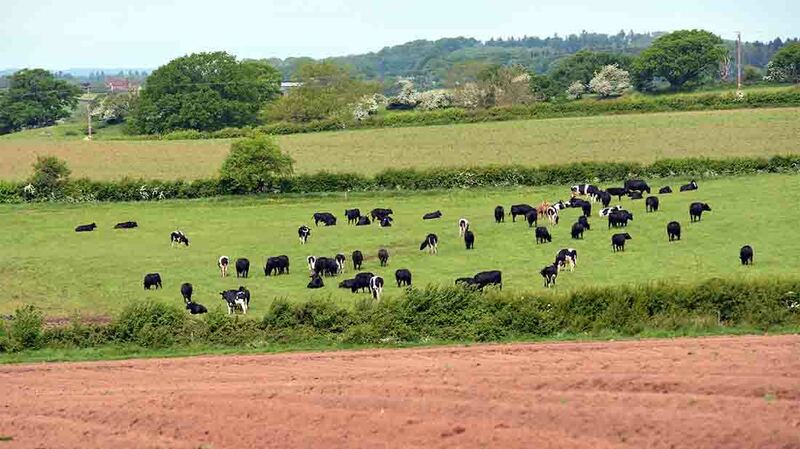 Predominantly tenanted, the 340-hectare (850-acre) organic unit, located near Upton-upon-Severn, has seen major changes over the last 10 years, bringing new skills, opportunities and challenges to the family business. the opportunity I had at this time"
Having spent his childhood on-farm, Oliver has always taken an interest in the management of the business, but he always knew he wanted to experience new environments. After graduating from university in 1996, he headed to London where he stayed, enjoying city life, until 2003, before returning to the family farm. He says: “I will never take for granted the opportunity I had at this time. “My family were incredibly supportive and when I decided to join the business they ensured it was possible. At the time, the farm, which was converted to organic production in 2000, had about 200 Holsteins, with 100 cow suckler herd, including calves and replacements. Oliver explains how his return 13 years ago naturally initiated a review of the farming business to reassess what they wanted to achieve in the long-term. He says: “I was an extra demand on the income of the farm, so we wanted to look at options which would increase the profitability to ensure a sustainable future. “We looked at expanding the herd to 400 cows, but physical limitations and the sheer level of investment made this unviable. Following two years of research into various options, they decided it was time to ‘get out there and do it’. They invested in milk pasteurisation equipment with a view of bottling milk, making yoghurt and cream, so they approached a local butcher who carried out private kills and packaged beef for market. “The beef enterprise demanded little investment. The farm office supplied the base, so all we had to do was install a chiller unit on-farm. “We had several successful farm shops in our area, all very supportive of our business, and they agreed to stock our beef. “This was a small scale, relatively low risk and manageable added value business, but it became clear we had to deal with carcase imbalance in terms of saleable meat cuts. In 2007, just when beef sales were gaining momentum, the farm experienced catastrophic floods. Inevitably, it was a stressful and financially challenging time and took focus away from any plans for the new milk enterprise. Oliver says: “It took about 18 months to recover from the floods, but beef sales had continued to grow and it was apparent we needed to act on adding value to the carcase. So the family went out and researched the market and, armed with this knowledge, they went into the farmhouse and set about making cottage pies, beef stew and lasagne. “What became clear was it was not as simple as multiplying ingredients. The small space in the farm kitchen was restrictive for an efficient cooking process. “We employed a chef on a consultancy basis to improve our processes, invested in a portable cabin and bought some second-hand equipment. For six months, Oliver and his parents cooked all the meals, until deciding it was justified to employ staff to help out. Families of the farm workers joined the team and with time and experience, they became much more efficient, allowing more time to focus on being proactive and concentrating on selling and marketing. A turning point came when organic home delivery company Abel and Cole confirmed its first order. Oliver says: “This literally doubled our demand overnight. It took the business to the next level and opened other doors to markets in London and around the UK. “Although this was a time when both the farm and the meal business were demanding, I was able to stand back and appreciate the need for perspective. “I applied for a Nuffield Scholarship in 2009, titled ‘Conquering the world from the farmhouse kitchen – a recipe for success’, and I embarked on a study tour of Japan, Australia, New Zealand and the USA. Oliver visited an impressive variety of farms which through different methods of processing, marketing and distribution, added value to their farm-produced products. From vineyards, cheese producers, vegetable growers, beef lots in the USA and Kobe beef in Japan, Oliver witnessed many innovative and successful farm businesses throughout the world. 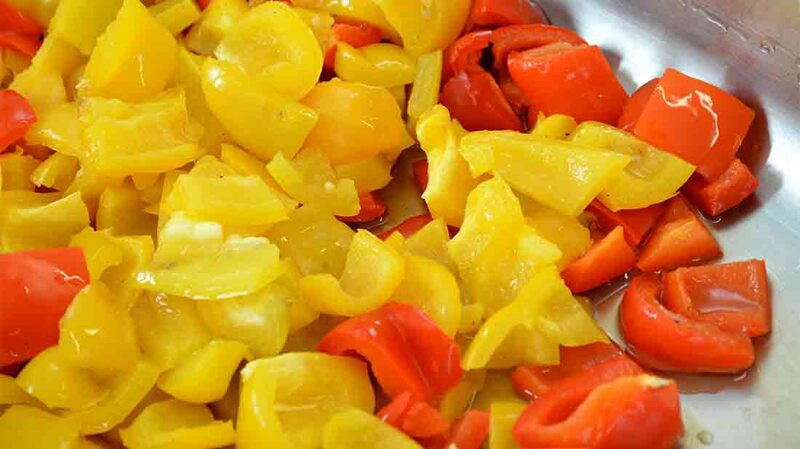 The food business, although growing, was still realistically a hobby on a grand scale and I wanted to find out the best ways to make it a standalone profitable business. Oliver says: “It offered me time to consider options for the family business and look at how I wanted to allocate my time and the consequences of my choices on both enterprises. “I saw many farms doing similar things to us, but in different ways. "I learned a lot about the global food industry and it really enabled me to gain perspective on our business and the UK as a nation. “We are a drop in the ocean when it comes to feeding the world and when you see the scale in which other countries produce food, you fully appreciate the UK cannot compete on price alone. “We have to produce products truly valued by the consumer, find niches and focus on marketing and communicating our points of difference. On completion of his study, Oliver and his parents continued to expand the food business. But with his parents naturally becoming less involved in practical elements of the business, Oliver had to look at which enterprises offered better returns and greater stability. He says: “I did not want to spread myself too thin and I wanted my enjoyment to continue, which I get from doing a job to the best of my ability. In 2013, the family made the difficult decision to sell the dairy herd. In eight years, the Surmans have started from nothing, cooking in the kitchen, then to a portable cabin and now to where they are today. 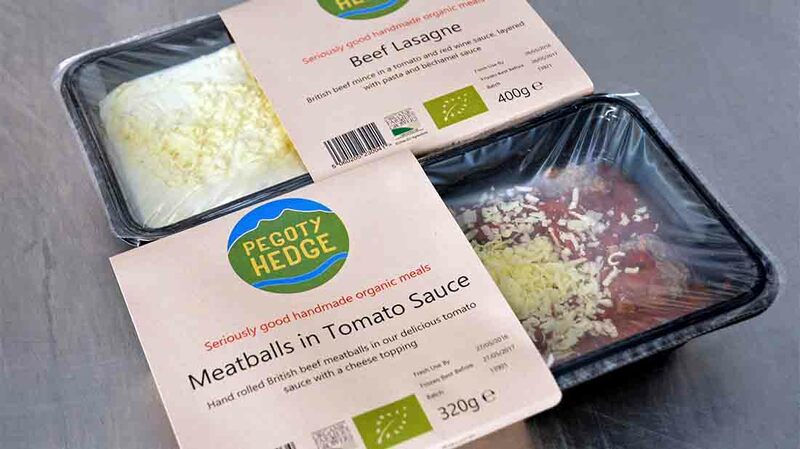 They have a modular of eight cabins, with industrial equipment and skilled staff, and sell a wide range of ready-meals through outlets and online stores, such as Ocado, Plant Organic, Booths and Abel and Cole. As tastes change, Oliver appreciates the need for new and innovative product developments and continuous research into new markets for products. Getting Started aims to help young farmers and new entrants by providing them with essential information on growing your business, career, YFC news and blogs. Follow us now on Twitter and Facebook.